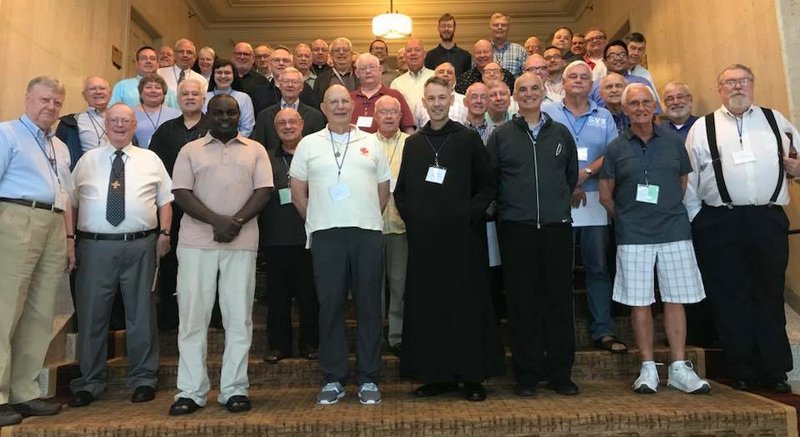 Attending the 2018 Religious Brothers Conference at the Bolger Conference Center, Potomac, Maryland was a most positive experience. “The Zealous Brother” theme was exemplified by the Brothers in attendance and by the keynote speaker Brother John Mark Falkenhain OSB. The first session was very impressive. As each Brother introduced himself and identified his ministry, I recognized a blessing of grace that flowed throughout the room. Here were zealous Brothers in the flesh, even though most were now in their 50’s, 60’s, 70’s. They were on the cutting edge of ministry to the poor, to the brothers and sisters of Jesus in the inner city, those suffering in nursing homes and hospitals, shelters and schools, those whose marriages broke down. I was among the zealous from so many different congregations. Then Brother John Mark Falkenhain identified with all of us with humor, with presentations on the meaning of the Brother’s vocation in today’s world, how spiritiual and psychological growth occurs in the vocation, what are the needs of younger members. He provided us with a chance for table talk about important questions such as our charisms, how do people recognize us, the challenges brothers face in the Church. Brother John Mark led us to understanding the zealous brothers vocation as a consecrated man who had been and is going through the stages of growth in his vocation. This was my second RBC annual meeting. The location, the liturgies, the food, the bus trip to Washington DC sites, the camaraderie and genuine interaction of the participants made the experience very special.